Every now and again I come upon an image that resonates very strongly with me. Such is the image above - harmonics and creation as viewed through the eye of the beholder. I am totally connected to this picture. Reality begins with a tone (sound) which creates light and color. Together they become a symphony of creational harmonics through which all emerges to experience and learn. It is all part of a virtual illusion, processed through the human brain, an electrochemical machine forever viewing streaming consciousness for experience and interpretation to study a myriad of emotions in different frequencies. 'I've just had a brainwave. Oh, and there's another. And another! In fact, you will have had thousands of them since you started reading this sentence. These waves of electricity flow around our brains every second of the day, allowing neurons to communicate while we walk, talk, think and feel. Exactly where brainwaves are generated in the brain, and how they communicate information, is something of a mystery. As we begin to answer these questions, surprising functions of these ripples of neural activity are emerging. It turns out they underpin almost everything going on in our minds, including memory, attention and even our intelligence. 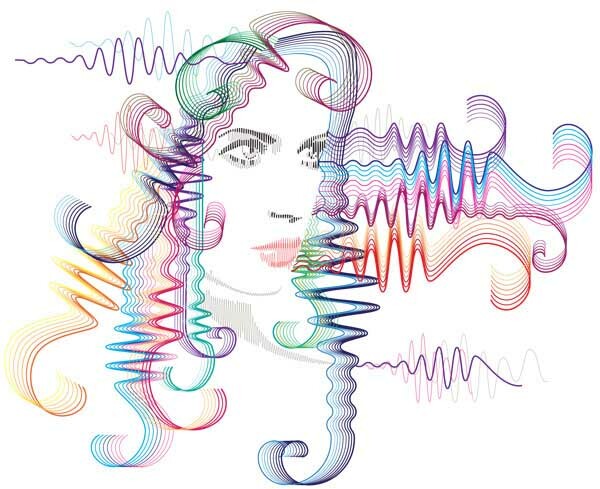 Perhaps most importantly, haphazard brainwaves may underlie the delusions experienced by people with schizophrenia, and researchers are investigating this possibility in the hope that it will lead to treatments for this devastating condition. So what exactly is a brainwave? Despite the way it is bandied about in everyday chit-chat, the term "brainwave" has a specific meaning in neuroscience, referring to rhythmic changes in the electrical activity of a group of neurons. Each neuron has a voltage, which can change when ions flow in or out of the cell. This is normally triggered by stimulation from another cell, and once a neuron's voltage has reached a certain point, it too will fire an electrical signal to other cells, repeating the process. When many neurons fire at the same time, we see these changes in the form of a wave, as groups of neurons are all excited, silent, then excited again, at the same time. At any one time, a number of brainwaves are sweeping through the brain, each oscillating at a different frequency, classified in bands called alpha, theta, beta and gamma, and each associated with a different task (see diagram). This rhythmic activity turns out to be the perfect way to organise all the information hitting our senses. Every sensation we feel, from the itch of a sweater to the buzz of a cellphone, triggers a shower of neural signals. Brainwaves may provide clarity in this electrical storm by synchronising all the activity corresponding to a single stimulus - the words on this page, say - to a particular frequency, while neurons attending to another stimulus fire at a different frequency. This would allow brain cells to tune in to the frequency corresponding to their particular task while ignoring irrelevant signals, in much the same way we home in on different waves to pick up different radio stations. "Brains have problems distinguishing signal and noise," says Karl Deisseroth, associate professor of bioengineering at Stanford University in Palo Alto, California. "We've found that in order for neuron A to talk with neuron B, it can better transfer information if it can synchronise its activity." The importance of signal synchronisation becomes clear when you consider that the different aspects of a sensation - colour and shape in vision, for example - are processed in different parts of the brain before being sent to another region that binds them back together. "Imagine you are looking at an apple," says Deisseroth. "The apple's redness and roundness are picked up by different cells in the brain, but you don't see a red thing and a round thing - it's one item." The rhythmic activity of brainwaves ensures that all the relevant signals relating to the sensation arrive at the binding region at exactly the same time. This allows the receiving neurons to process the signals together, recombining them into a single sensation. "If neurons are oscillating at the same frequency, signals from a stimulus would be treated together because the firing came in at the same time, and at the same point on the oscillation, so that the object is perceived as a whole rather than the separate details," explains Laura Colgin at the Norwegian University of Science and Technology in Trondheim. Beyond their role in binding together all aspects of a sensation, however, the properties of brainwaves had remained murky. How, for example, do their specific characteristics, like the timing of each wave's rhythm, influence what we see, hear or remember? "We are only just beginning to understand these mechanisms," Deisseroth says. Last year, Niko Busch, then at the Brain and Cognition Research Centre in Toulouse, France, found that the activity of a certain kind of brainwave determines whether something is seen or not. He used electroencephalography (EEG), which measures electrical activity through the scalp, to assess the neural activity of 12 volunteers exposed to rapid flashes of light. Surprisingly, the volunteers' brainwaves could be used to predict exactly which flashes they would see. If the flash coincided with the peak of a wave in the alpha or theta frequencies, they saw it, but if it occurred when the wave was at its trough, they didn't (Journal of Neuroscience, vol 29, p 7869). That fits, says Busch, since neurons are more likely to fire in response to visual input if they are already excited. The relative rhythms of various regions may also determine what we perceive. This was shown by Lucia Melloni at the Max Planck Institute for Brain Research in Frankfurt, Germany, and colleagues when they measured the brainwaves of 15 students while they worked out whether a "test" word was the same as one they had already glimpsed briefly. The task was simple enough, except that the initial word was preceded and followed by a "visual mask" - a geometric pattern that confused the brain so the volunteers did not always perceive the word consciously. Somewhat surprisingly, the team found roughly the same level of brain activity, in the same regions of the brain, whether the word was perceived consciously or not. The difference lay in the synchronisation of the brainwaves within those regions. When the volunteers consciously perceived the word, brainwaves in the gamma frequency range in all the relevant brain regions were in sync. When the waves were out of sync, however, the word lurked in the subconscious (Journal of Neuroscience, vol 27, p 2858). "It appears that to consciously perceive a stimulus, you need coordination not only in local activity but also in long-distance areas in different parts of the brain," says Melloni. That adds up, she says, since consciousness needs the integration of multiple sources of information into a single unified experience. What's more, the strength of synchronisation between the individual neurons can also determine how strongly we perceive certain characteristics of an image, such as its brightness (see "Synchronising brightness"). Perhaps the most significant function of brainwaves, however, is their role in memory. Last year, Colgin and her colleagues managed to pin down the way gamma brainwaves control the flow of stored information in the brain. The team looked at two areas of the hippocampus - CA3, which is known to evoke memories of past experiences, and the medial entorhinal cortex (MEC), which deals with information about the present moment. Both regions appear to transmit their information to a third region, called CA1, through brainwaves in the gamma frequency band. Importantly, the team found that the specific frequency of the gamma waves marked what type of information was being transmitted, with low-frequency gamma waves sending the old memories from CA3, and high-frequency gamma waves sending information about the present from the MEC (Nature, vol 462, p 353). The hippocampus switches between these two brainwaves rapidly and sporadically over time. "It's as if CA1 tunes into the different frequencies to receive the different types of information," says Colgin. This fits with previous experiments that show fast oscillations produce the long-lasting connections between cells fundamental to memory formation. In contrast, the slow gamma waves from CA3 are too slow to strengthen these connections, "so it's likely [someone] can retrieve an old memory without interfering with its previously formed storage pattern", says Colgin. Together, these findings could go some way to explaining disorders like schizophrenia, says Deisseroth. Numerous experiments have found that the brainwaves of people with schizophrenia differ from those of people free of the disorder; they either don't spread far enough in the brain, or aren't tightly synchronized with one another. These differences have been linked to various symptoms. For example, reduced synchronization, and therefore communication, between the different parts of the brain involved in planning, executing and then sensing speech could mean that a person with schizophrenia fails to recognize the words they have uttered as being their own, leading them to attribute the voice to someone else instead. Faulty gamma waves in the hippocampus, on the other hand, might lead to an "inability to clearly distinguish thoughts that are formed within their own heads (like memories) from sensory events that are actually driven by what is going on in the outside world", according to Colgin. Deisseroth agrees. People with schizophrenia "often ascribe too much importance to random environmental stimuli, or misattribute the cause of something", he says. "They may confuse memories or think they did something they actually didn't do, and such hallucinations can lead to paranoia and delusions." 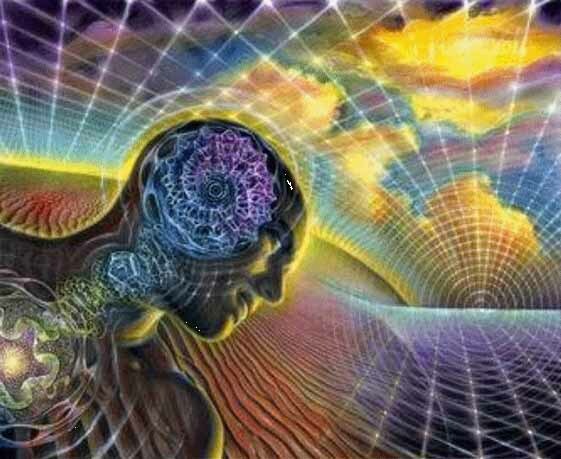 The big question, then, is whether anything can be done to retune these brainwaves and restore normal brain function. First things first, says Deisseroth. "Before we consider rewiring the brain, we need to understand what might be generating the waves in the first place." To investigate, Deisseroth's team focused on parvalbumin interneurons (PV), a type of neuron found throughout the brain that is known to be involved in processing sensory information, making it a prime candidate as a gamma-wave generator. Significantly, people with schizophrenia tend to have fewer PV neurons than average. But here they hit a hurdle. How do you control individual types of neurons in the brain so specifically that you can analyze the resulting effect on information flow? For a long time it was impossible, says Deisseroth. Last year, however, his team applied a technique they had previously developed, called optogenetics, to genetically engineer the PV neurons in a group of mice to respond to pulses of visible light. This allowed them to control the neurons on demand. They found that inhibiting PV neurons suppressed gamma oscillations, while driving them generated gamma waves (Nature, vol 459, p 698). Could these neurons be a suitable candidate for retuning? "That's certainly what we consider a long-term goal," says Deisseroth. "This will help us guide different therapies." Other groups have suggested that PV neurons in people with schizophrenia fail to synthesize and release enough of the neurotransmitter GABA, preventing brainwaves from being transmitted effectively (Nature Reviews Neuroscience, vol 6, p 312). Drugs that increase GABA release may improve the transmission of gamma waves and re-establish lost cognitive functions. Helpfully, drugs that imitate GABA already exist, and they are used as muscle relaxants and treatments for anxiety. To find out whether they could have an effect on schizophrenia, for four weeks David Lewis, director of the translational neuroscience programme at the University of Pittsburgh, Pennsylvania, and colleagues gave 15 men with chronic schizophrenia a drug that selectively activated GABA receptors. Compared with a placebo, the drug counteracted some of their symptoms, improving their attention span and their ability to avoid automatic responses in certain situations (American Journal of Psychiatry, vol 165, p 1585). Further tests with a larger number of participants are needed before a full clinical trial can begin, however. Drugs are not the only way we could retune gamma waves. Transcranial magnetic stimulation (TMS), which exposes the brain to a short burst of a magnetic field, might stimulate the correct neural rhythms. It's an appealing idea, since TMS has already been shown to reduce the urges of people with obsessive compulsive disorder (American Journal of Psychiatry, vol 154, p 867). Brain training might be another option. Studies have shown that volunteers hooked up to a monitor that displays an instant replay of their brainwaves have been able to learn to suppress or activate specific brainwaves at will. Tomas Ros at Goldsmiths, University of London, UK, recently observed that volunteers using this technique could change their neural activity in a way comparable to other methods of artificial brain stimulation. He found that the effects persisted for at least 20 minutes, indicative of long-lasting change in the way the neurons are wired (European Journal of Neuroscience, vol 31, p 770). Although the long-term goal is to use the technique to treat people with mental illness, it might also be useful to retune the healthy brain occasionally. Andr� Keizer at Leiden University in the Netherlands showed that healthy volunteers linked up to a neurofeedback machine could boost not only the power of their gamma waves, but also their performance on abstract reasoning tests that act as a marker of intelligence - probably because it improved the transfer of information across the brain (International Journal of Psychophysiology, vol 75, p 25). For now, we should be content in the knowledge that, for most of us, our brainwaves are working in sync. They might not make you a genius, but they are behind every thought or feeling you have ever experienced.